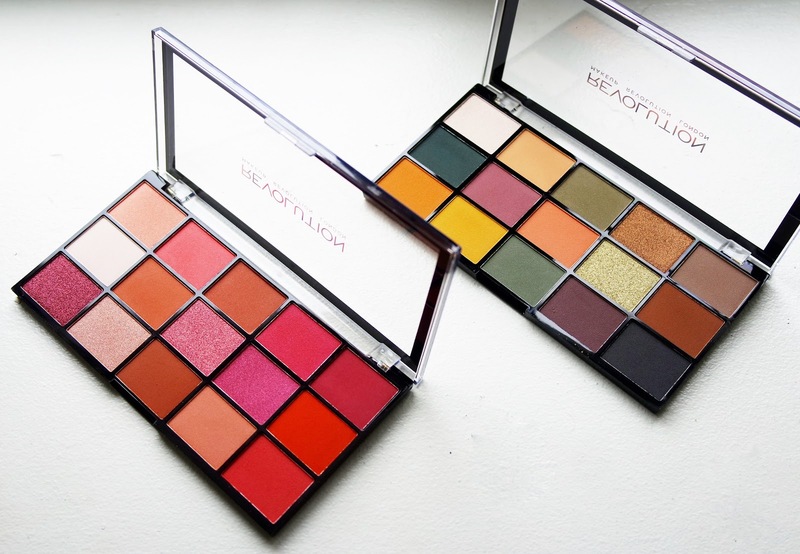 A few weeks ago Makeup Revolution, a UK based affordable beauty line, released their new Reloaded palettes and the online beauty community has been going crazy. 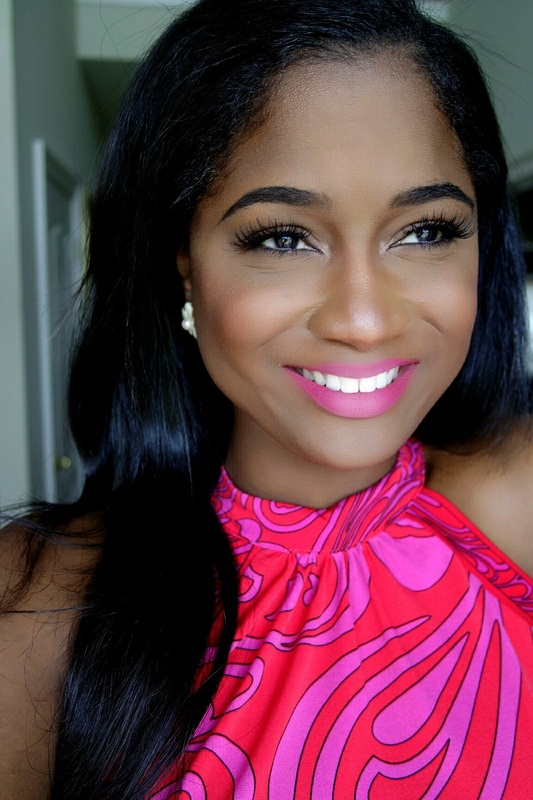 Makeup Revolution is a growing brand that's really known for creating dupe palettes for some of our favorite high end beauty brands and the Reloaded palettes are no exceptions.. I cannot be the only one who was super excited about these palettes! Eye shadow palettes are my jam and the fact that these are affordable makes them so much better. There are 4 total palettes in the Reloaded collection and 3 of them are dupes of very popular palettes. These are available on Ulta here in the US and on the TAMbeauty website for all of my UK beauties Like I said above, I only picked up the two that I felt would add something different to my already semi overwhelming makeup Collection. Also, I found that these palettes have really consistent formulas as far the performance so I'll just review them collectively. These palettes have plastic packaging that's not super luxurious, but is still sturdy. To be honest, they are kind of hard to get open and almost broke one of my nails, so just be mindful of that. For $7, the packaging is good. It doesn't seem like it will break easily at the hinge like a lot of drugstore palettes. The pan size is pretty big and tightly packed together, which I love considering the price. Both of these palettes are mainly mattes with 3 or 4 shimmers put into each palette. I found the mattes in this palettes to be strongly pigmented, but don't have as much vividness as a typical high end palette. For me personally, this is not a bad thing because it makes them buildable and easier to blend out. The mattes also have a smooth texture that's easy to pick up with a blending brush and easy to pack on for full opacity. The shimmers aren't as consistent to me. Some shades like the iridescent green and duochrome pink in the Division palette are beautiful but are a little flaky and not as easy to pick up with a brush, but applied nicely with my fingers and foiled (wetting my brush with fix spray after picking up the eye shadow on a flat brush) . The other shimmer texture in the palettes are so pretty and have a smooth and ultra pigmented texture. I have been testing out both palettes for the past couple of weeks and they really perform nicely on the eye. The mattes were really smooth and buildable although they were slightly powdery. I think that both palettes also have cohesive color palettes, which is something I look for when buying makeup so that I only have to use one eye shadow palette per look. The Division palette is an obvious dupe for the Anastasia Beverly Hills Subculture palette and does a good job of being a shade for shade dupe although I returned the Subculture palette almost immediately. That palette was so hard to blend and was soooooo powdery. It also oxidized! Although the Makeup Revolution palette isn't as pigmented it definitely performs really good and doesn't fade on my eye. This palette is definitely the most unique color scheme of the four. 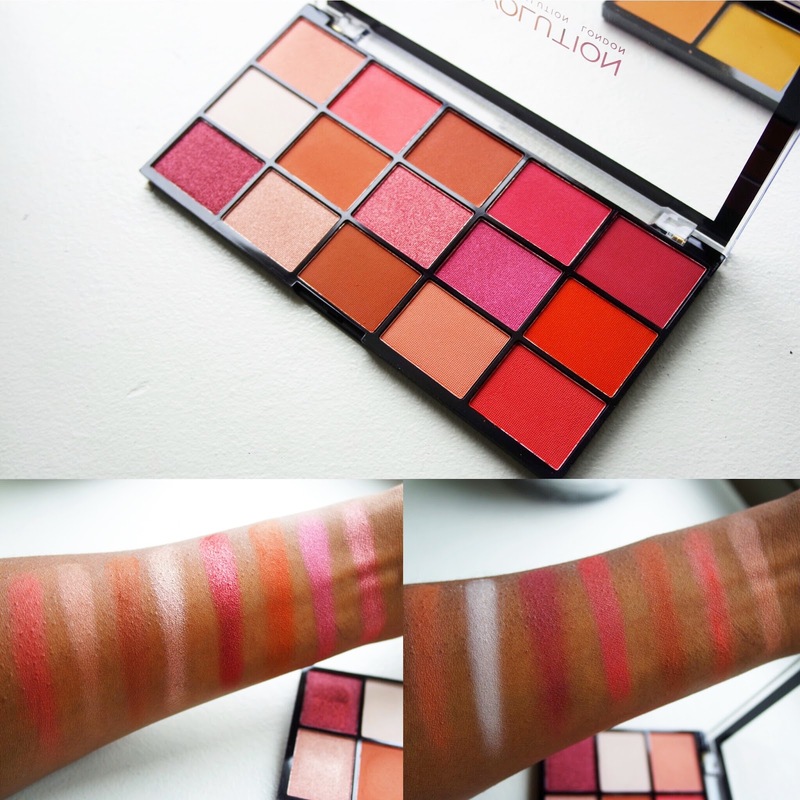 A few months ago, I did a review of the Newtrals vs. Neutrals palette that Makeup Revolution (post)released last year and it seems like this one is the fun younger sister to that palette. The color scheme is much brighter than the original palette, which I love. This is definitely my favorite of the bunch and a must have spring staple for anyone who loves bright warm eye shadow. 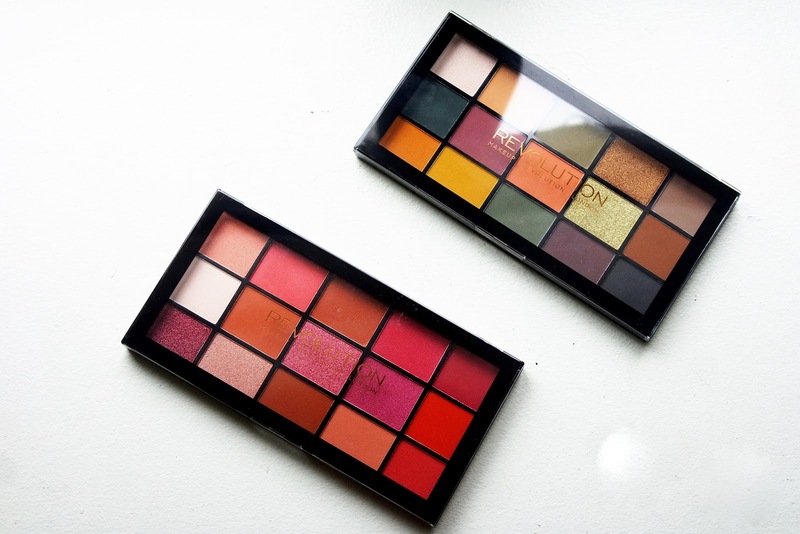 So Finally, Do you really need these palettes? I would say Yes, but only if you don't own the original palette that these dupe. 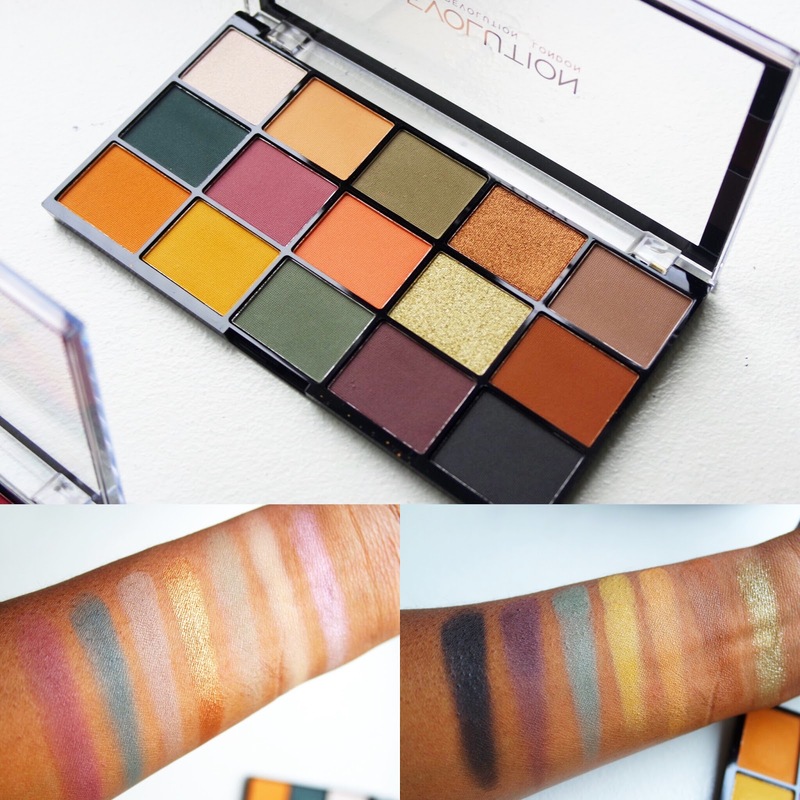 The Division palette is definitely a good substitute for the Subculture palette, if you are like me and couldn't handle the formula of Subculture. I also really love the Newtrals Reloaded palette, it's definitely a refreshing new addition to my makeup collection.